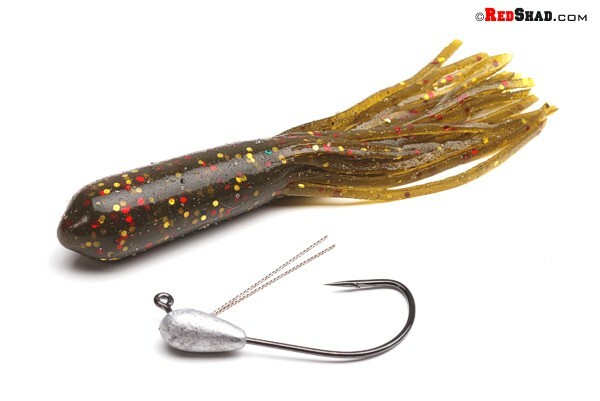 The Little Pek-T™ could be the perfect tube jig! Molded on an EWG Gamakatsu 4/0 hook with a unique dual wire weed guard. Insert the hook point where the weed guard will exit. 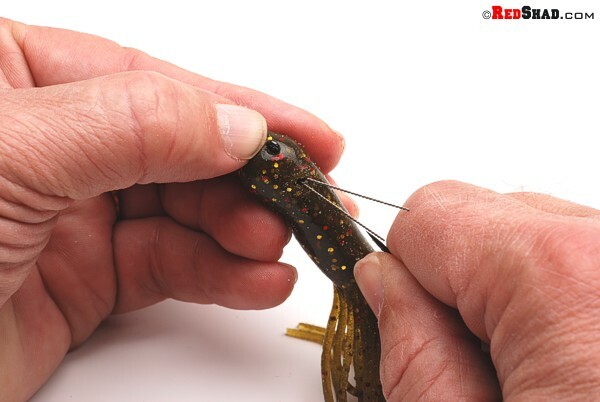 Thread the tube onto the hook shank. 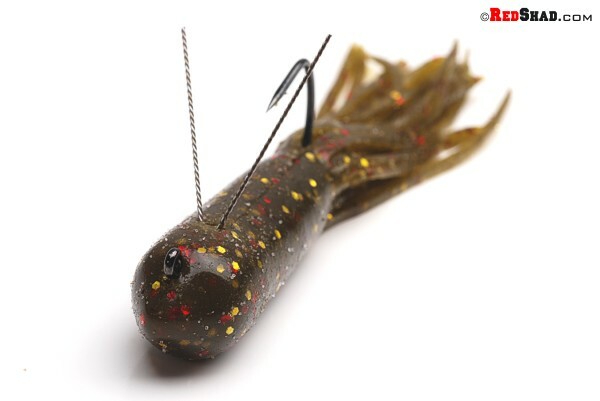 Carefully force the jig head into the tube. Stretch the tube over the line tie. 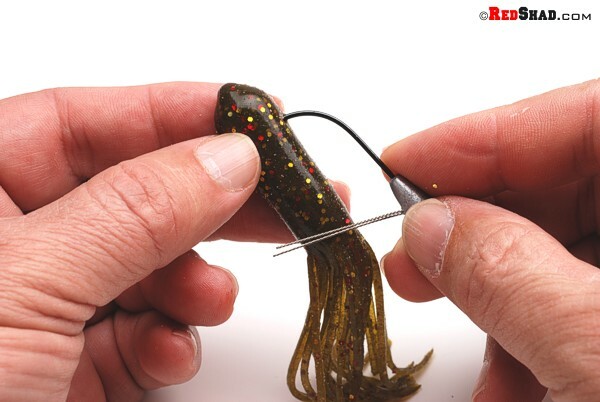 Then push the jig all the way to the end of the tube. 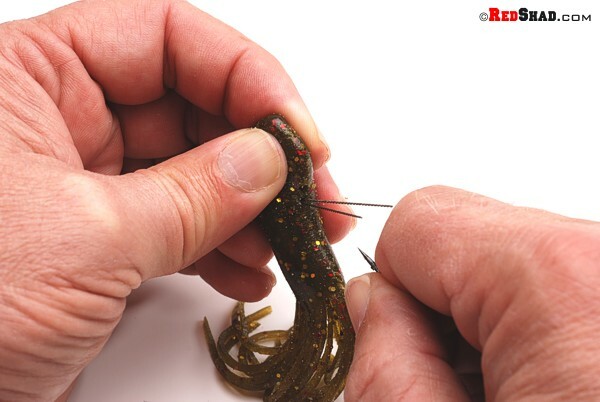 Rub the line tie of the hook with your thumbnail to expose it through the head of the bait. Reposition the wires to form a V and make sure the tails are not twisted aroung the bend of the hook and Viola! 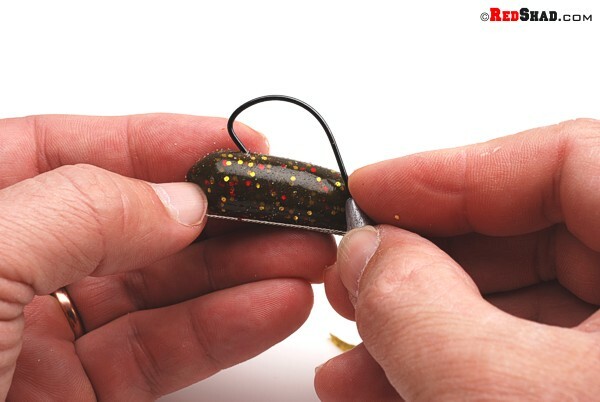 You’ve got yourself a rigged tube ready to tie on and fish. Personally, this is my favorite way to fish a tube. 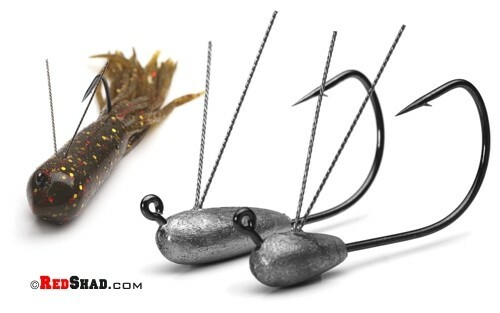 Unless you are fishing very heavy cover, this rig is quite weedless. But the real advantage is the exposed Gamakatsu hook! To be honest, I used to get frustrated at missed strikes and lost fish with Texas-rigged tubes. I all but gave up fishing the stupid things. But rigged with a Little Pek-T, a tube can be fished with the action it is best at, be snag-free, and still catch anything that even thinks about breathing on it! Oh, and one other real advantage, one tube will last an entire day on this rig!